The shipwreck Daniel J. Morell was lost in a fierce storm on Lake Huron in 1966. Only one man survived out of a crew of 29. The ship was torn in half in violent 20 ft seas. 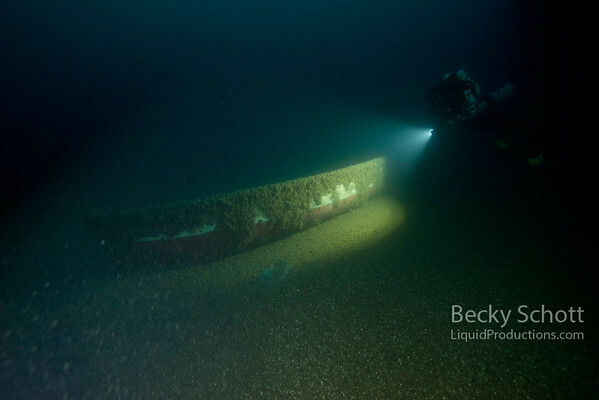 The bow sank into 200ft of water and the stern motored another 5 miles away before finally plunging into the depths. Five crew have never been found and Dennis Hale the only surviver endured 37 hours in freezing cold water on a life raft until rescued. The Morrell is haunting and tells a story as you explore every inch of it both outside and inside.